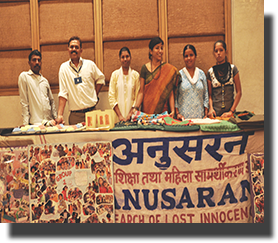 Anusaran was formed in November of 2003 moved by seeing the condition of young women and children in the slum/poor and deprived area of Delhi. More than one decade Anusaran has been contributing against the illiteracy. By now Anusaran has reached out to more than 20,000 children, given non-formal educaton, also helped more than 5000 women to educate them and trained them through our adult literacy and women empowerment programes. Anusaran is focussing to educate and empower the disadvantaged women and children in India We strive to grant every deprived child or woman a start on life by providing the means and resources so that everyone we serve can celebrate life in full.